Outdoor activities like picnics, camping, etc. are now common these days, and all these make people engage in outdoor cooking. If you are into one of these activities, then you might want to give the new models of the grill a try. These grills are called infrared grills, and they are different from the conventional gas grills because they are designed with infrared elements between the grates and the flame. The gas heat radiates to the foods through the infrared elements, not directly. This process sears your meat better, gives uniform heat and reduces flare-ups. Let’s take a look at some of the best-infrared grill in the market. Just as its name implies, this infrared grill comes with a small size that makes it easy to be transported from one place to another. It is the right grill to take with you when next you are planning a cookout, picnic or camping because of its portability. With Solaire SOL-EV17A Everywhere Portable, your grilling goes faster. 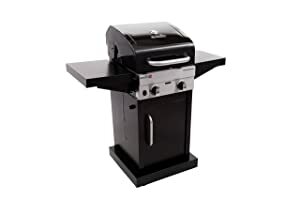 It has 140 square inches of grilling space, and it is capable of accommodating and easily cooking up to 6 regular size hamburgers at once. One would have thought that the largeness of this grill will automatically increase its heaviness, but no. This grill is very lightweight, which makes shipping quite easy. Easy to ship since it weighs just 15 pounds. Built with Stainless Steel, it is designed to last. It discharges plenty of energy, say 14,000 British Thermal Units of energy. This infrared grill might not be large enough for larger cookouts. Char-broil TRU-infrared Patio Bistro Gas grill. This infrared grill is one of the best that is quite affordable compared to others. This product is compact such that it can fit perfectly into a patio or balcony. Despite its portability, it has an amazingly large cooking space or area of 320 square inches. This provided large space can be assembled such that you can use 240 square inches for cooking and the other 80 square inches for warming. This product is also designed with a gas TRU-infrared cooking system which means it will give very even heating. The dimensions of this product are 24.4″ x 25.2″ x 38.2″. Concerning shipping weight, it weighs 43.0 pounds. You can also get a different range of temperatures through an electronic ignition integrated into the gas control knob. This product is available in black color. Vast cooking space of 320 square inches. Designed with an electronic ignition that gives a wide range of temperatures. Very pocket-friendly price for an infrared grill. Does not come with side shelves to store utensils or tools. Char-broil 17602047 Infrared Electric Patio Bistro, 240. Are you in search of an infrared grill that you will be able to handle and control easily without creating a ‘cooking havoc’? Then you are on the right one. 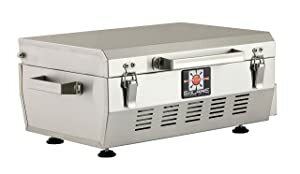 This product has easy-to-control features: a temperature control knob that is easy to operate, a simple cord Management and an easy to reach large capacity grease tray. 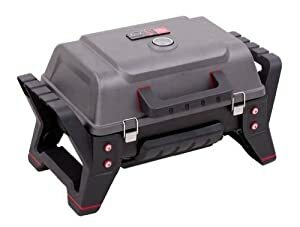 This product is also designed with a large cooking area of 320 square inches which can cook up to 8 to 12 hamburgers at once. You can even create a division by using 240 square inches as grilling surface and 80 square inches as a warming rack. Also designed with a TRU-infrared cooking system, you get to cook your food evenly, without any flare-ups. Its grates are made with porcelain-coated cast iron which makes them easy to clean. The dimensions of the product are 25.6″ x 39.8″ x 39.8″. It is available in red color. Designed with a TRU-infrared cooking system. Comes with folding side shelves to house utensils and tools and also provide plenty of workspaces. Grates are rust-resistant and easy to clean. Some customers’ feedbacks say grill does not heat past 360 degrees. 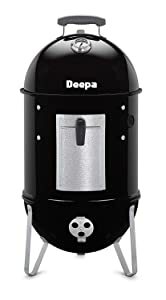 You are on to the right one if you are in search of an infrared grill that can effectively handle your outdoor cooking and feed larger mouths with less stress. 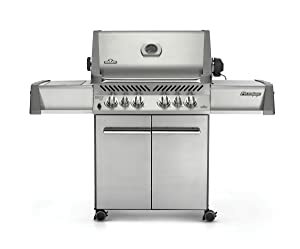 Napoleon P500RSIBPSS Prestige Propane is a heavyweight grill with lots of features which tend to make grilling easier. It is designed with 85000 British Thermal Units of energy which makes it less time-consuming to grill in large number. This product has stainless cooking grids that are rust-resistant and easy to clean. Its dimensions are 26.4″ x 31.9″ x 31.9″. Dual level Stainless Steel sear plates. Shipping weight is quite large. This infrared grill can also fit into any space whatsoever. Due to its portability, this product can be taken on a far distance journey without any inconvenience. It is designed with a cast aluminum without leaving out durability. It has a cast aluminum firebox and lid to retain heat. 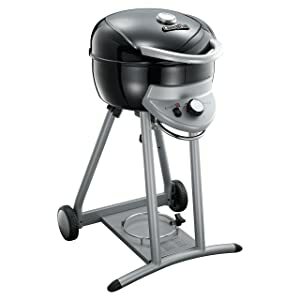 It also comes with a dual Stainless Steel latches that make this grill extremely safe to operate. You do not need to worry about how you will position the grill and make it stand, because it amazingly comes with frame, legs and carries handles. 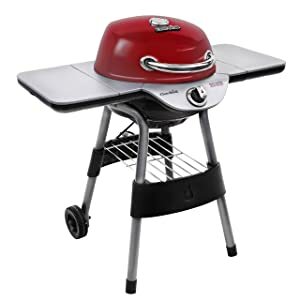 Despite the compactness of this product, it has a 200 square inch grilling grate, meaning it is quite large enough to feed a certain number of mouths. The grates come in a Stainless Steel, reducing the stress of cleaning. Its dimensions are 23.7″ x 15″ x 13.6″. It is mobile and easy to operate. Made of cast aluminum, it is durable. Can only feed a few mouths because of its not-so-big cooking space. Just as its name implies, The Big Easy TRU-infrared Smoker Roaster is a Char-broil product that offers the services of smoking, roasting, and grilling. This is a rare combination of great abilities, which is why you should put this infrared grill into consideration. This grill is designed with 180 square inches of cooking area for grilling, and this cooking space can accommodate up to 25 lbs for roasting. It does not flare up, as it cooks every turkey, roast, ribs and other cuts of meat evenly and produces delicious foods. Despite its sophisticated makeup, it is effortless to operate. When grilling, the temperature can be controlled from 9000 to 18000 British Thermal Units of energy. The price of this product is also pocket-friendly, and it has a light shipping weight. Dimensions are 23.1″ x 23.4″ x 36.2″. Rare features of smoking, feeling and roasting all in one product. Designed with a TRU-infrared cooking system that cooks evenly. With 180 square inches of grilling space, it can only feed limited mouths which makes it quite small. Char-broil Performance TRU-infrared 300 2-burner Cabinet Liquid Propane Gas Grill. This is another of Char-broil’s product that offers the best you could ever bargain for. This product is designed with a 300 square inches of cooking area of which 120 square inches is a swing-a-way rack for warming. The grates and rack are porcelain-coated. Hence, they last longer and resist dust. It is designed with two top-ported tube burners for lasting and effective performance, including better temperature control. This means there will not be unnecessary flare-ups. Therefore, you can have your foods even and juicy. 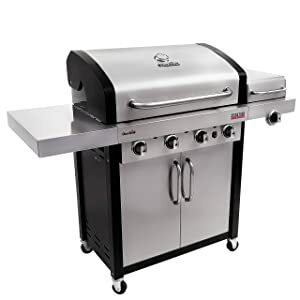 This infrared grill also comes with a Surefire Electronic Ignition System which offers a reliable and controlled spark at every burner. The temperature gauge is lid-mounted and very easy to read. Its dimensions are 30″ x 27.4″ x 25.2″. The product comes with two tube burners. No flare-ups. Hence, you will have even and juicy foods. With a porcelain-coated grate and rack, durability is ascertained. Considerably large cooking space with 300 square inches. Designed with an electronic ignition system. This product is specially made for larger cookouts; its features point out that fact. It is designed with 525 square inches of primarily grilling space which makes it the perfect choice for a large cooking and big meals. Asides this primarily cooking area, it is designed with an additional 200 square inches warming rack. With four burners, you should be expecting a high-speed and effective performance. Both grates and rack are porcelain-coated, which enhances durability. It is also designed with a surefire electronic ignition which offers a reliable spark at every burner. A side burner that burns at 13000 British Thermal Unit is also included, and it comes with spacious storage cabinets beneath it for housing utensils and tools. Designed with four burners and a side burner. Considerable cooking space for a large crowd. Excellent for preparing side dishes and sauces. Considered expensive for some buyers.